ALU is a dynamic university striving to develop more than 3 million African leaders, problem-solvers and innovators for the continent by 2035. Using a unique learning model, ALU fosters an entrepreneurial culture and equips graduates with important skills they’ll need to succeed and be competitive in today’s quickly evolving workforce. The transformative curriculum promotes a holistic approach, developing its students intellectually and providing them with work experience via several partner companies. Traditionally, college admissions have heavily weighted measurements such as standardized test scores and the reputation of the secondary school. Often only a mere snapshot of a prospective student’s academic potential, many universities are now seeking alternative methods to provide a fuller assessment of applicants. What if there’s a better way to measure a student’s ability to succeed? Continuing its penchant for innovation, ALU teamed up with Cerego to incorporate our platform as a key component in its reimagined admissions process. With the Learning Challenge course, ALU is teaching prospective students key details about the school such as how to apply and financial aid along with the organization’s mission, ethics and values. 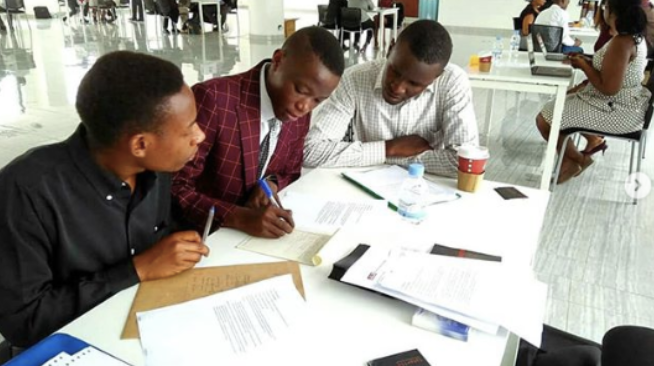 Our AI-driven learning platform and data insights serve as unique tools for ALU to educate applicants on its programs, while also measuring a student’s diligence, agility and overall understanding of the information. ALU is using this new, comprehensive view of each candidate, in combination with an English language proficiency test and application forms, to consider and admit students. Over 1,300 applicants are currently using Cerego in the ALU admissions process. Through incorporating Cerego, universities can transform admissions and create a scalable and inclusive process that focuses on the candidate’s abilities and qualities, instead of simply their test scores or the reputation of their high school. Learn more about Cerego for higher education or connect with us here.